See this comparison of CrowdStrike Falcon Endpoint Protection vs Sophos Endpoint Protection. Next generation endpoint anti-virus, threat detection and response. Enterprise customers looking for an all in one Endpoint Protection suite with anti-virus and Endpoint Detection and Response. Small businesses looking for a basic anti-virus solution. 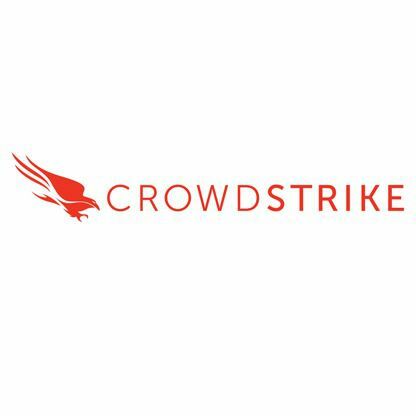 What is CrowdStrike Falcon Endpoint Protection? CrowdStrike is a market leader in the Endpoint Protection market. They offer multiple different Endpoint Protection products. Their standard Endpoint Protection platform is comprised of two modules to help businesses protect and monitor endpoint devices. The first is Falcon Prevent. This is an anti-virus platform which protects against malware attacks. The second is Falcon Insight. This is an Endpoint Detection and Response platform that delivers continuous monitoring of endpoint devices and potential threats. It uses machine learning and artificial intelligence algorithms to detect threats and is a cloud based platform with an agent that works on Windows, Mac and Linux endpoints. This platform has four different tiers, starting with Anti-Virus and ending in a complete Endpoint Protection solution. CrowdStrike is an advanced and holistic Endpoint Protection Platform. It offers businesses a full suite of granular security modules, ranging from anti-virus at the most basic level to an advanced Endpoint Detection and Response platform. It’s a strong platform for organizations with a large number of Endpoints to protect them against advanced virus threats, as well as physical threats like USBs loaded with malware or spyware. The threat detection and response capabilities are powerful, with integrated threat intelligence and real-time response capabilities so that you can directly access Endpoints under investigation and run the best responses. The management dashboard offers reports and continuous monitoring of Endpoint Activity all within one simplified lightweight agent. This is also a scalable platform. It’s a cloud-based service, and CrowdStrike has focussed on making the platform as lightweight as possible so as not to impact on individual Endpoint device performance. This is an advanced threat protection platform. It’s well liked by customers for it’s ease of use and advanced threat protection capabilities. This is an advanced option, and so although it does offer basic anti-virus as a module, it may not be the best option for smaller companies looking for endpoint anti-virus. But for organizations looking for a full suite of Endpoint Anti-Virus, Detection and Response, and some powerful additional modules, this is a strong solution to consider. Protection for all endpoint devices, on premise or in the cloud, through one management console. Companies looking for strong threat protection with a granular management controls. Small businesses looking for a low cost, anti-virus solution. 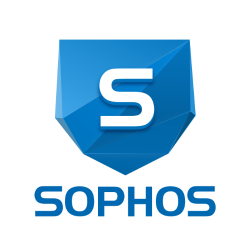 What is Sophos Endpoint Protection? Sophos Interpt X is platform for detecting and stopping threats Endpoint Threats. It has a focus on delivering a simple and secure platform. It offers one accessible management console for IT departments to manage all IT devices, and the client can either run in the cloud or as an on-premise solution. It promises to automate the process of identifying threats, isolating them to stop them spreading and removing them from devices. It uses deep learning systems to look for the common signs of attack rather than relying on signatures, which they argue makes it more proficient at spotting zero-day attacks. The Sophos EPP Platform anti-virus is based on the Intercept X platform Sophos acquired in 2017. This specializes in deep machine learning algorithms to hanti-malware, HIPS and malicious traffic detection and help protect endpoints against threats. Features of Sophos Endpoint Protection? Sophos has a strong focus on given admins granular controls and policies to stop threats from reaching devises. The management component is a key feature of their EPP platform, with management able to filter web content, set device controls, decide what apps can be downloaded and even decide what peripherals devices can use. This can all greatly increase the overall security of an organisation, especially if a large number of employees work remotely. Alongside these threat protection controls, the detection and response is powerful. Based on Intercept X, a machine learning powered threat detection system acquired by Sophos in 2017, this platform is adept at isolating and removing advanced Endpoint threats. The management console is clean and accessible with customers suggesting that it’s easy to configure and manage and works well. It’s cloud based and so can be accessed from anywhere, with a full range of reports and controls. It also works as one management console with all of the other Sophos security products including Secure Email Gateways and Web Filtering. This makes it an easy option to recommend for existing Sophos customers. For other customers looking for Endpoint Protection with a range of strong management controls and threat protection, this is a good option for you to consider.